It’s with great sadness that GHR must acknowledge the passing of an other significant figure in the team’s history. “Big Al” Allan Wall had visited the Hoffmann family home to wish Glenn well just days before the team left for South America but it wasn’t supposed to be goodbye. Last night he succumbed to thyroid cancer after sudden turn 4 days ago. His presence at all GHR events and tours in the early years will never be forgotten, nor will his contributions every second weekend during the six month build up to GHR’s first three Safari campaigns. While his direct involvement with the team decreased after 2007, his friendship continued all the way to the end. Thanks Al. 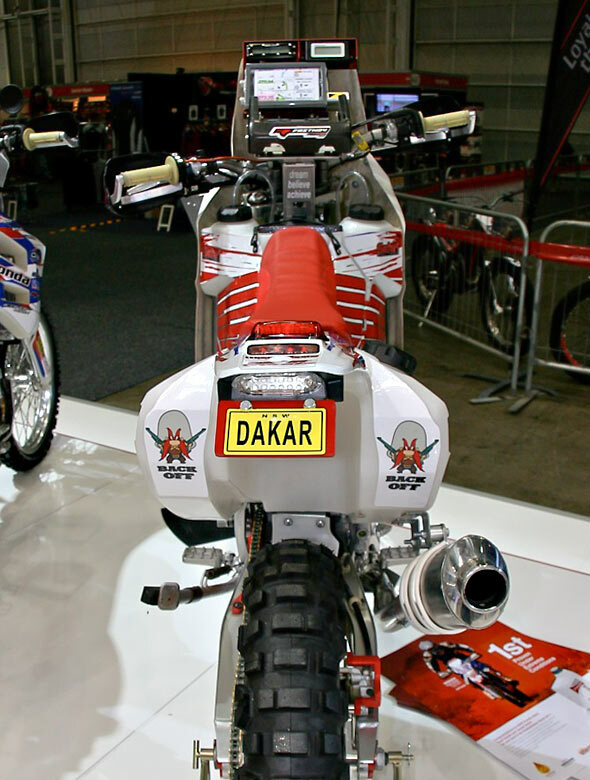 GHR would like to take this opportunity to wish everyone well over the festive season, especially all the riders going to the 2012 Dakar Rally. 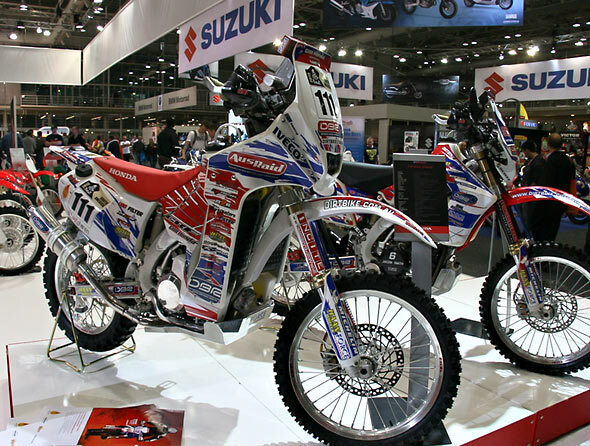 As you will have already noticed, GHR are not participating in the 2012 Dakar because we have been busy building the new bike. We would like to thank everybody who has been working on this project, especially Simon for his tireless efforts in putting together a jigsaw of new parts, Robin and his crew at Safari Tanks, Brian and his crew at Force Accessories and Brent and Helen at Incite Graphics for their sleepless nights getting the graphics ready for the recent Motorcycle show. 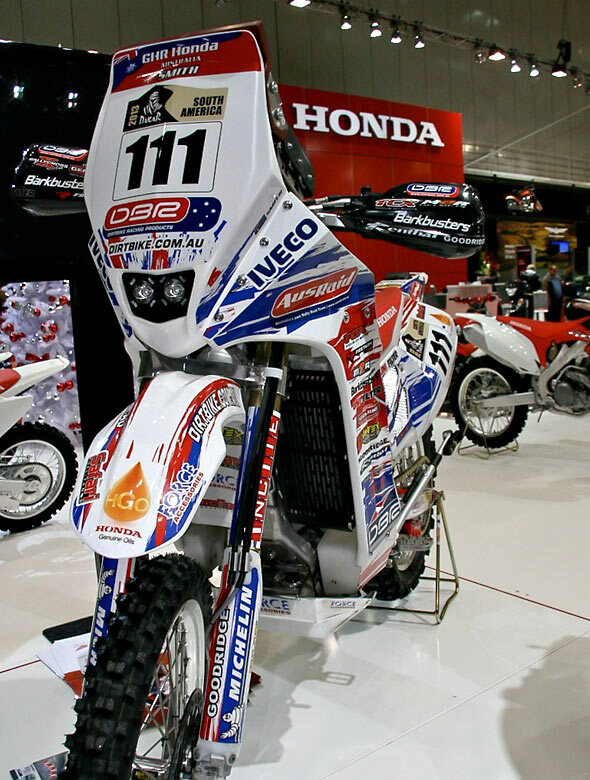 Honda Australia had both Safari 1st and 2nd Outright bikes and the Dakar prototype bike on the stand at the Motorcycle show. Following the MC show the bikes were then taken to the local Colo Vale Public School Fair, where 150 kids had their photos taken on the bikes and money raised going back to the school. 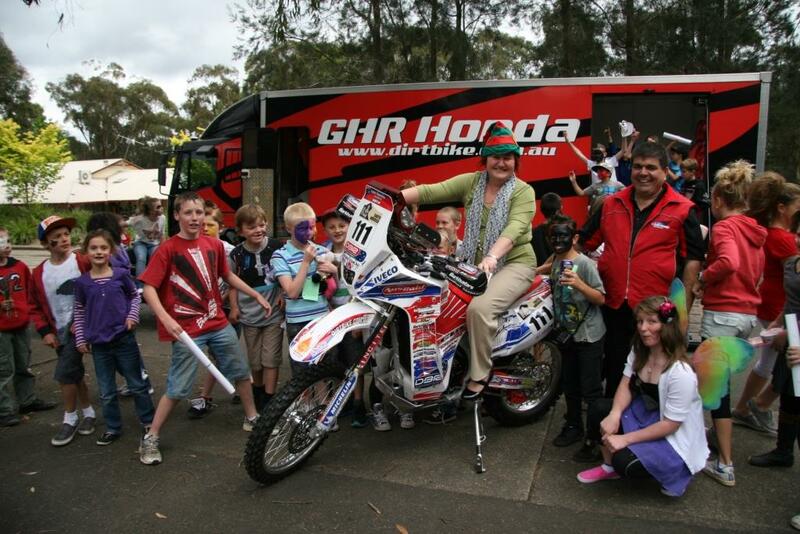 For 2012 GHR will be attending the Condo 750, Finke Desert Race, Hattah Desert Race and the Australasian Safari officially for Honda Australia. 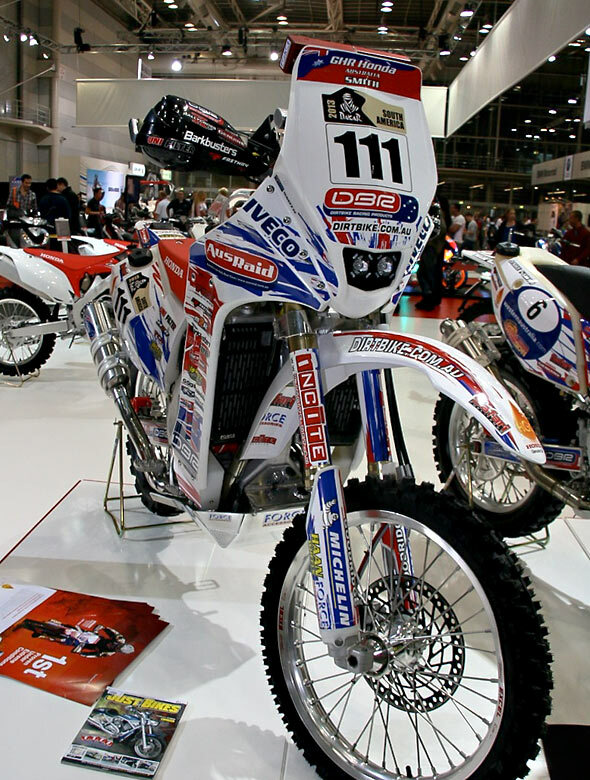 GHR will also be attending the 2013 Dakar Rally in South America with private clients and hope to raise the money to be able to take both Jake and Todd Smith. We expand into the building next door in January and would like to take the opportunity to welcome Rob Ingram on board full time. Rob has been on many Safaris with the team and will be busy fabricating the new transporters which we aim to use throughout the race year home and abroad. We’d like to thank all the crew for their extra efforts on Safari this year – we could not have done it without you. 1 and 2 outright at the end of every day against Australia and the world’s best is a fitting result of the ability and effort of you all. To all our clients who challenged themselves at events with us this year, we thank you and look forward to further adventures together. 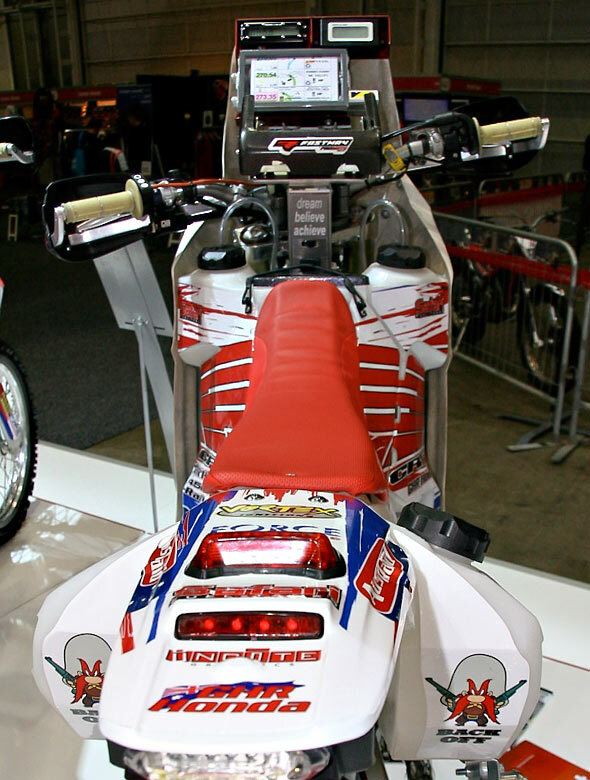 GHR Honda would like to thank you for your continued support and look forward to an even bigger and better 2012. 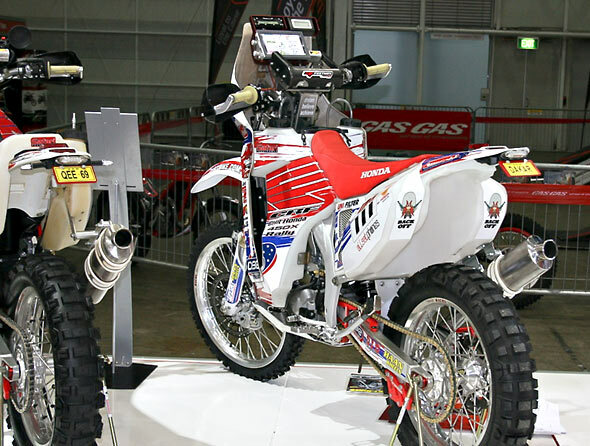 Come and see the new GHR Honda CRF450X Rallye bike under development for the 2013 Dakar Rally campaign, as well as the Smith Brothers’ world beating bikes from the 2011 Australasian Safari on display at the Sydney Motorcycle Show this weekend. Transmoto Magazine have just put together a feature on a ride to mark the 5th anniversary of Andy Caldecott’s tragic death in the Dakar on 9 January 2006. 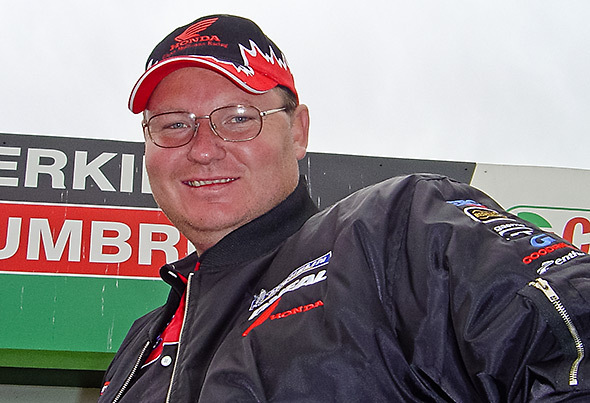 Andy Caldecott – Remembered, Five Years on. 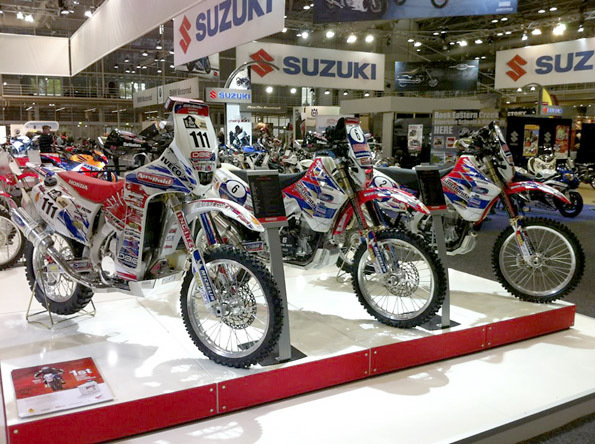 For all the excitement of Dakar, it’s worth remembering the seriousness of the event.